Neurology Department is guided by internationally accepted protocol and integrated care pathways. The busy department has 3 consultants and treats over 200 outpatients and 50 inpatients every day. It has a dedicated ICU with 11 beds for stroke, head injury and other serious neurological conditions. A large number of patients are treated with focus on stroke, epilepsy, head ache, movement disorders and neuromuscular disorders. This is the first hospital in Coimbatore to initiate several neurological advancements like deep brain stimulation for Parkinsons, advanced treatment for multiple sclerosis and clot bustering therapy for stroke. It also has an epilepsy surgery programme and high quality neurophysiology lab.The Departments is highly interested in teaching and runs regular lectures and journal clubs. Interventional Neuro Radiology for sub Anachroid Haemorrage and AVM. Carotid angioplasty for carotid artery stenosis. Botox injections for Movement Disorders. 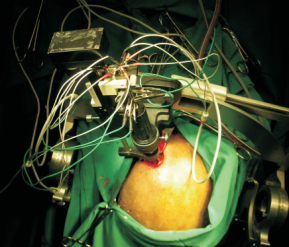 Deep brain stimulation for Parkinsons, Dystonia and Tremors. 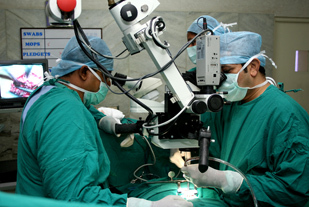 Epilepsy Surgeries for uncontrolled Epilepsy. Intra operative monitoring for Scoliosis Surgery. Cranial Nerve monitoring for Brain Tumors. Sphincter EMG for urinary and sexual problems. Complex Neuro Physiological investigations like sleep study, video telemetry, single fibre EMG and Multiple sleep latency test. Ours is a well known center for over 20 years in Trauma care, especially for head injury patients for providing excellent care at the right time. 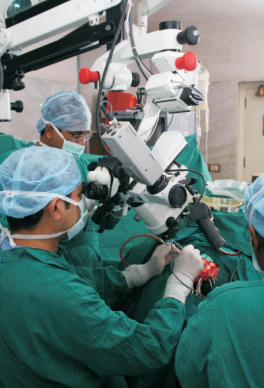 Several brain surgeries and spinal cord tumour surgeries are done regularly with excellent results. Micro Neuro surgical techniques to remove brain tumours. Stereotaxy (Keyhole surgery, pinhole surgery). It is a special frame attached to the head of brain tumour patient and CT Brain or an MRI brain is taken. With the help of the frame a small hole or a burr hole is made in the skull and biopsy is taken from tumour for diagnosis. This type of procedure is used when the tumour is deep seated or located in very dangerous areas of the brain. 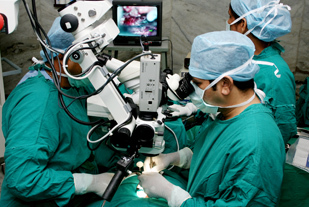 Surgery of Spinal Cord Tumours.